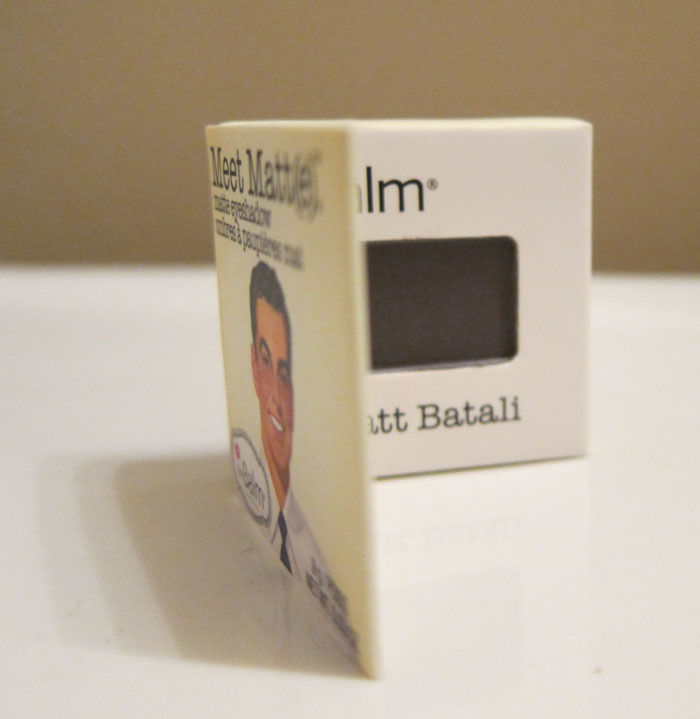 THE SKINNY: A sample of Meet Matt(e) Eyeshadow in Matt Batali (a dark grayish brown color) came with a recent beauty box. My first thought was, "What the heck is this color?" Carrie, being wise, guessed correctly that it actually is a pretty color once it's on. The problem is, this shadow doesn't stay on. I tried it with and without primer. Every time, the shadow started to disappear by the time I got into work. And grayish brown eyeshadow looks like a dirt smudge when it fades away. KEEP OR TOSS: Toss. If you're going to invest in a palette, buy an eyeshadow that stays put for hours, not minutes. CHECK IT OUT: The nine colors range from a light pink to slate blues and greens.